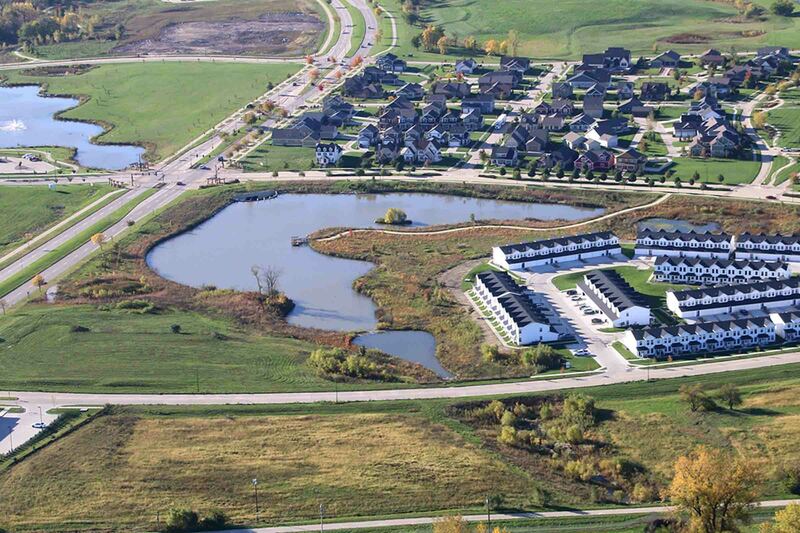 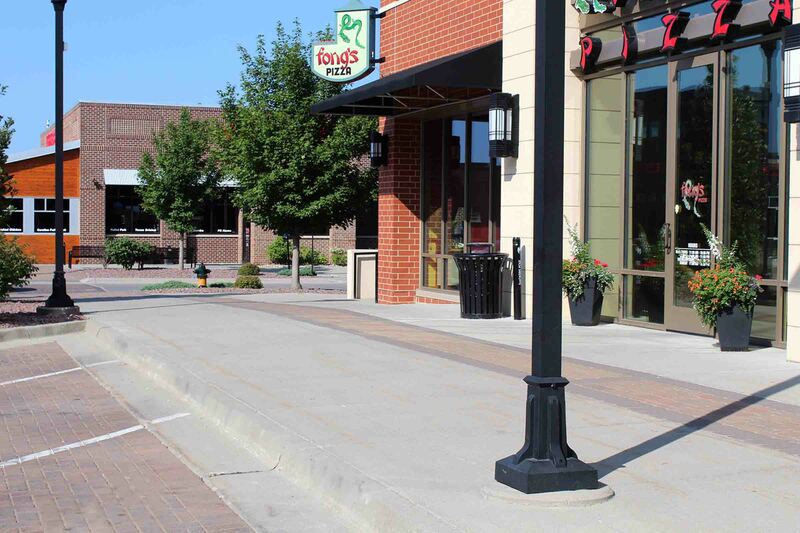 Nilles Associates has been an active partner in the development of Prairie Trail in Ankeny from its beginning stages. 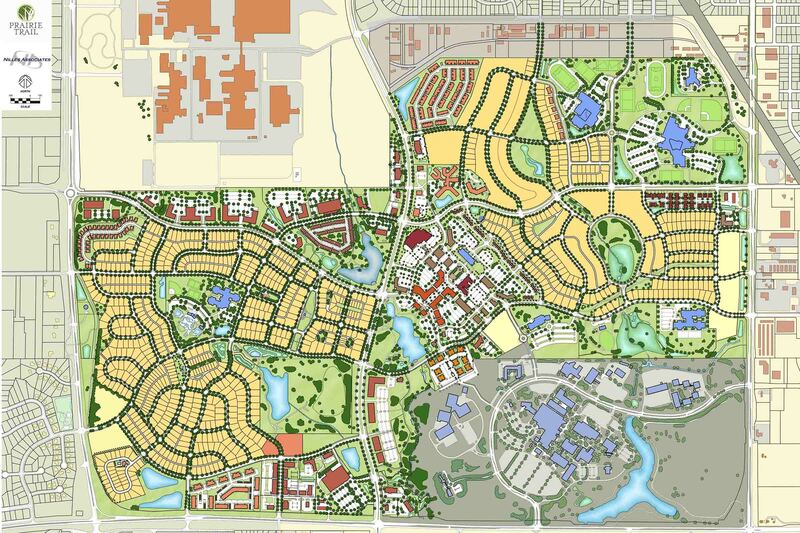 This 1,100-acre master planned community brings with it the concepts of New Urbanism: walkability and connectivity, mixed-uses across neighborhoods, blocks and buildings, quality architectural and urban design, traditional neighborhood structure and density, and a gradual transition from town center to natural open spaces. 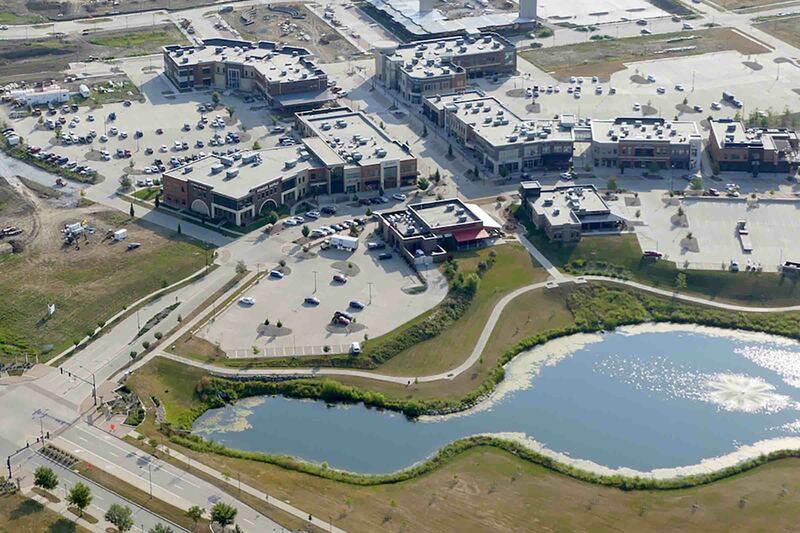 Prairie Trail is built on the former site of the Iowa State University Dairy Farm, which was crossed by several tributary streams of Saylor Creek. 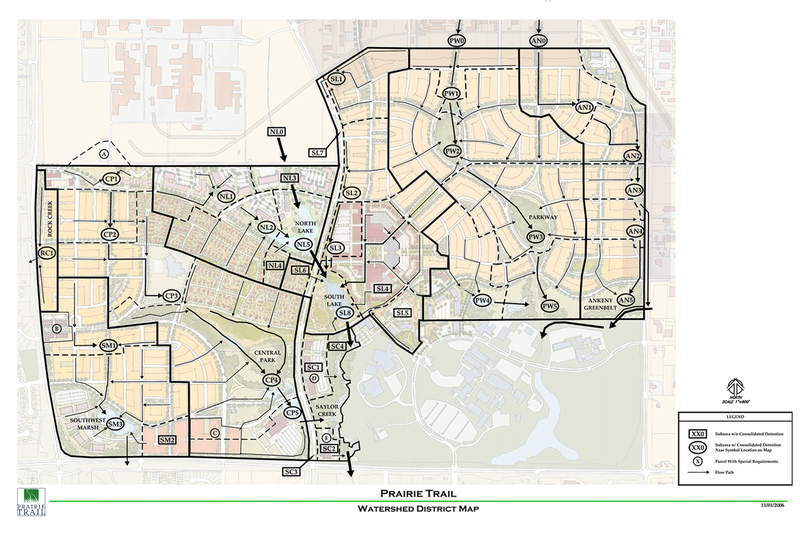 Due to the natural character of the land, Prairie Trail was given a strong water resources focus. 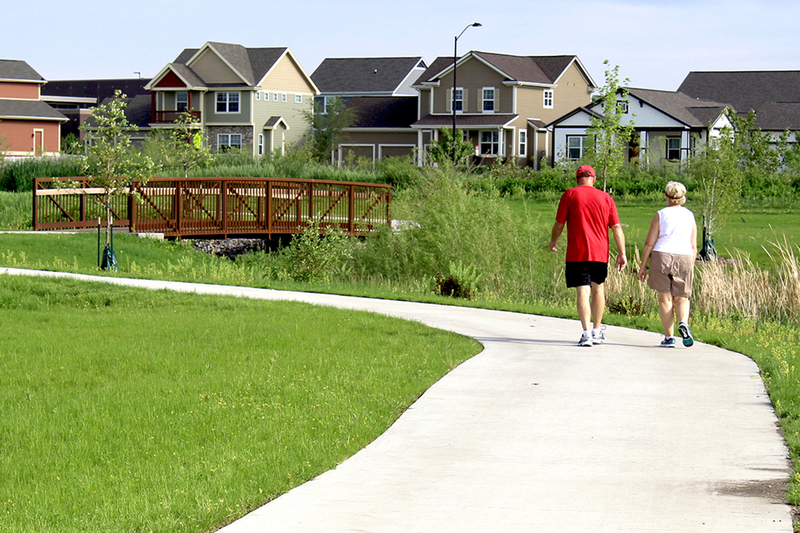 In 2005, the City of Ankeny selected Nilles Associates to be the Civil Engineering consultant for the Prairie Trail master plan. 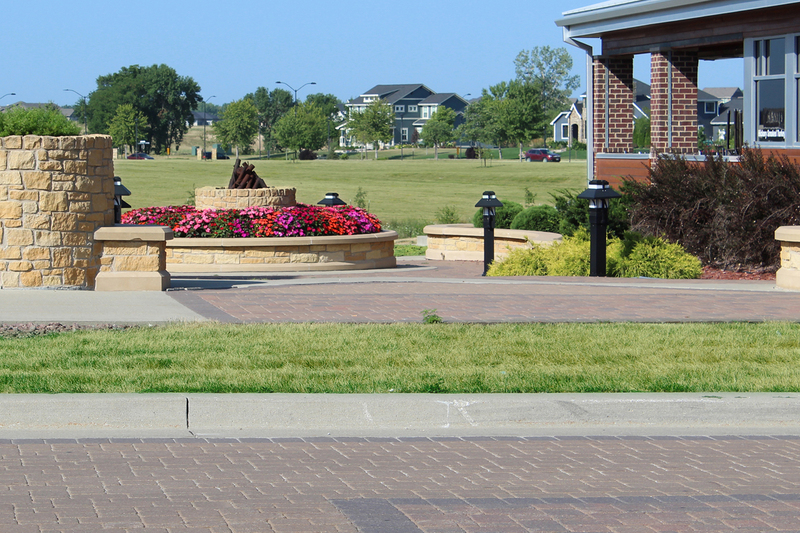 Nilles Associates first prepared a Stormwater Assessment and Report. 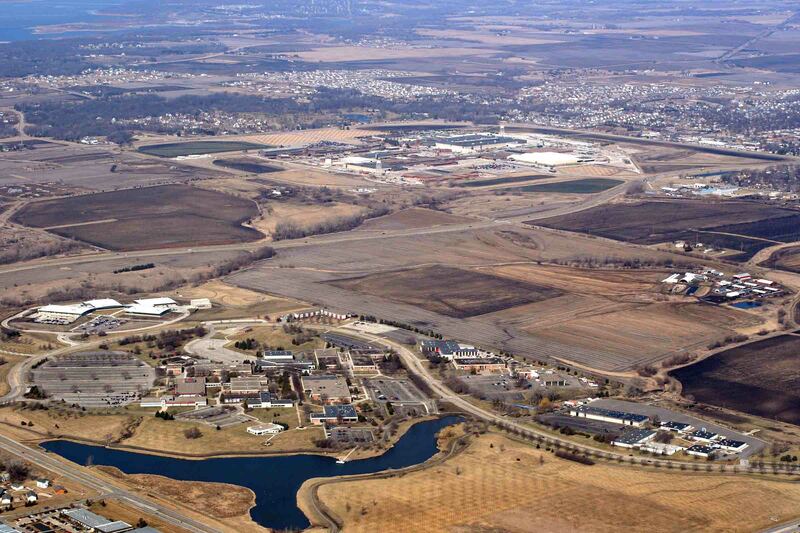 We generated assumptions about future land uses, slopes, and surface conditions, and then used these methods to develop models for treatment and storage requirements necessary at various sites to protect the streams and enhance water quality. 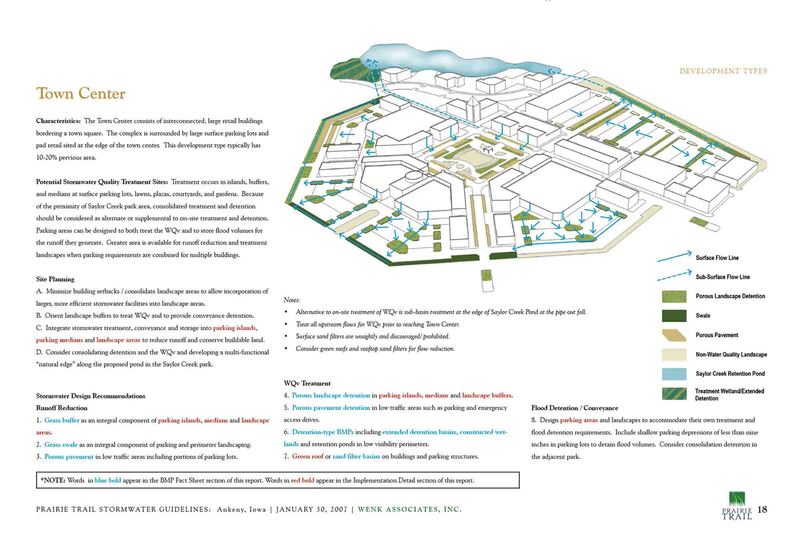 By considering storm water impacts and site resources at the beginning of the design process, we were able to develop a master plan that provides a better framework for stormwater management. 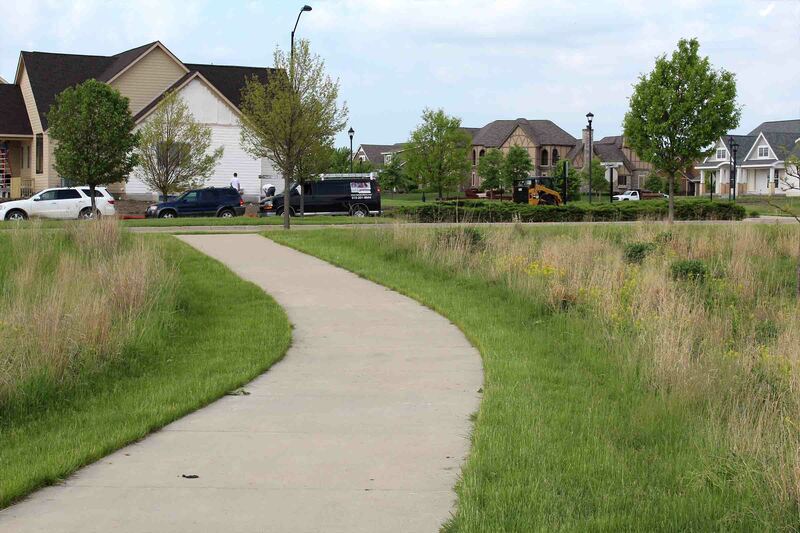 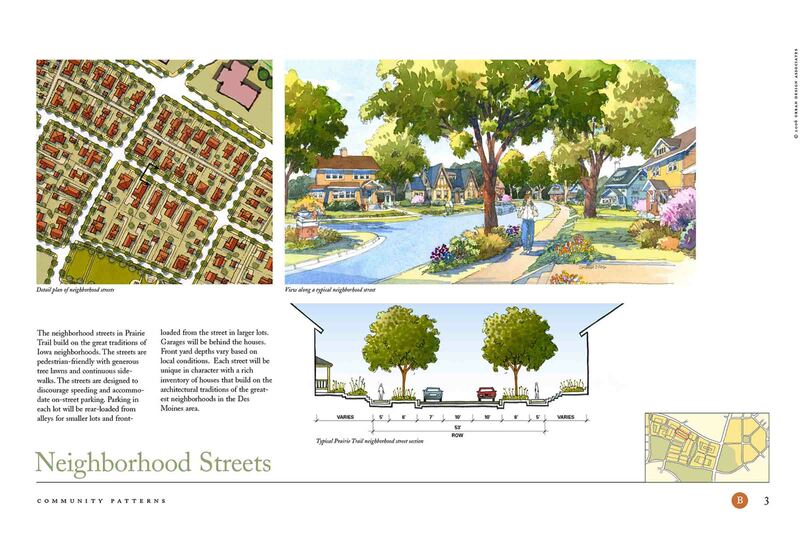 During the master planning phase, Nilles Associates assisted the City of Ankeny, the developer, and planners with production of a Prairie Trail Master Plan and Architectural Pattern Book. 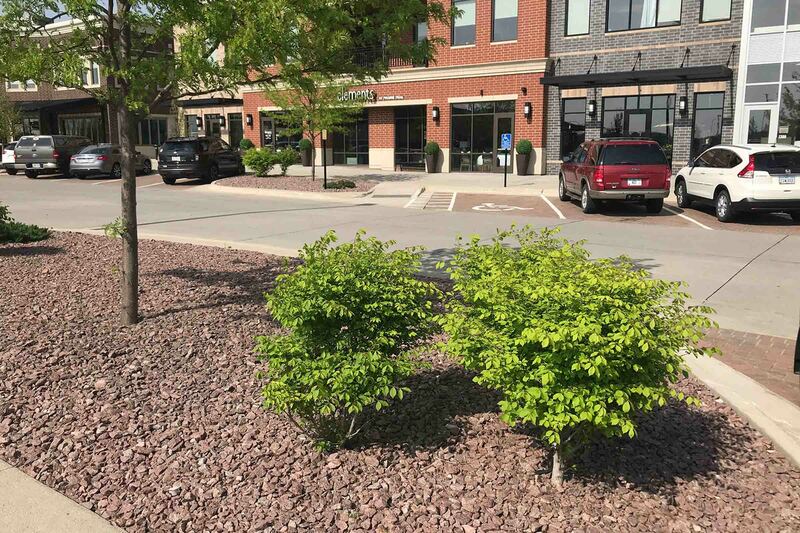 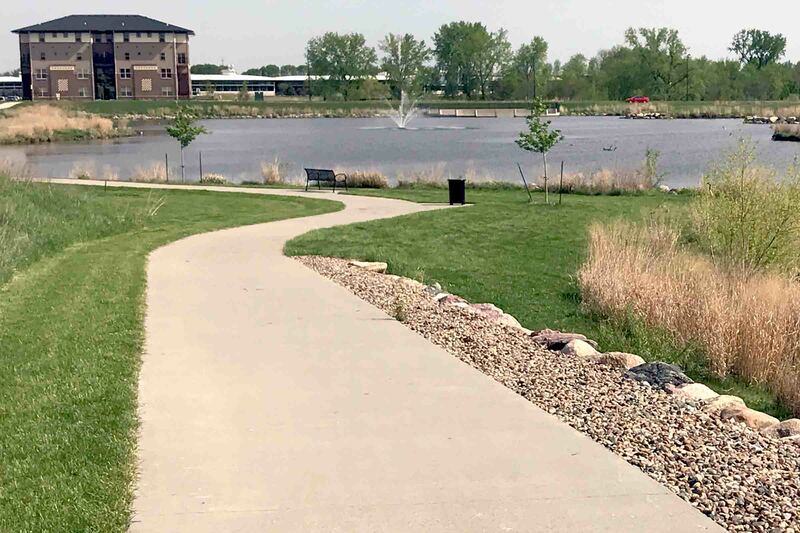 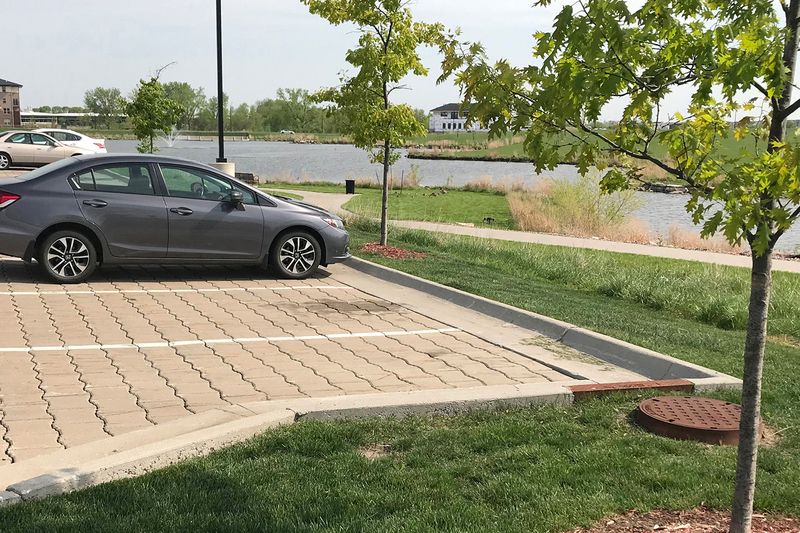 Nilles Associates also assisted Wenk Associates of Denver, Colorado and the City of Ankeny to create a set of Prairie Trail Storm Water Guidelines to educate planners, developers, and review staff on a new approach to managing storm water within the area. 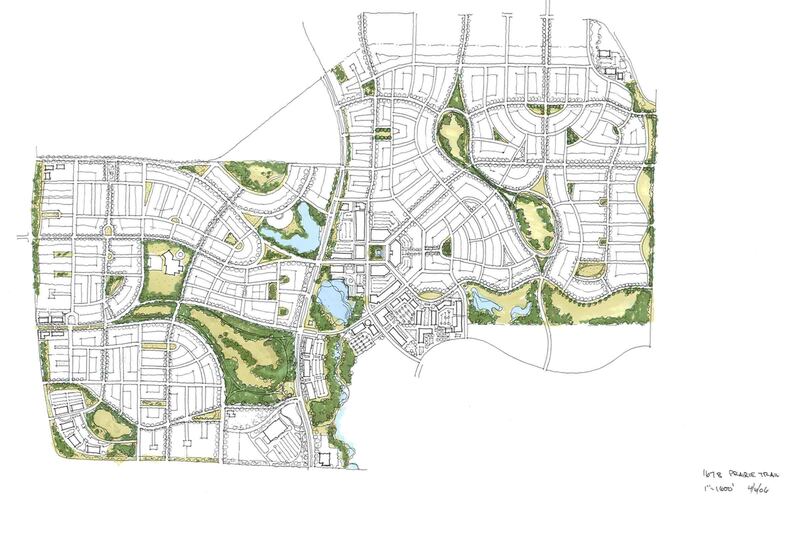 We have since been integral to the design and construction of much of the development, from residential and commercial areas to neighborhood parks, lakes, natural areas, and an expansive network of trails.